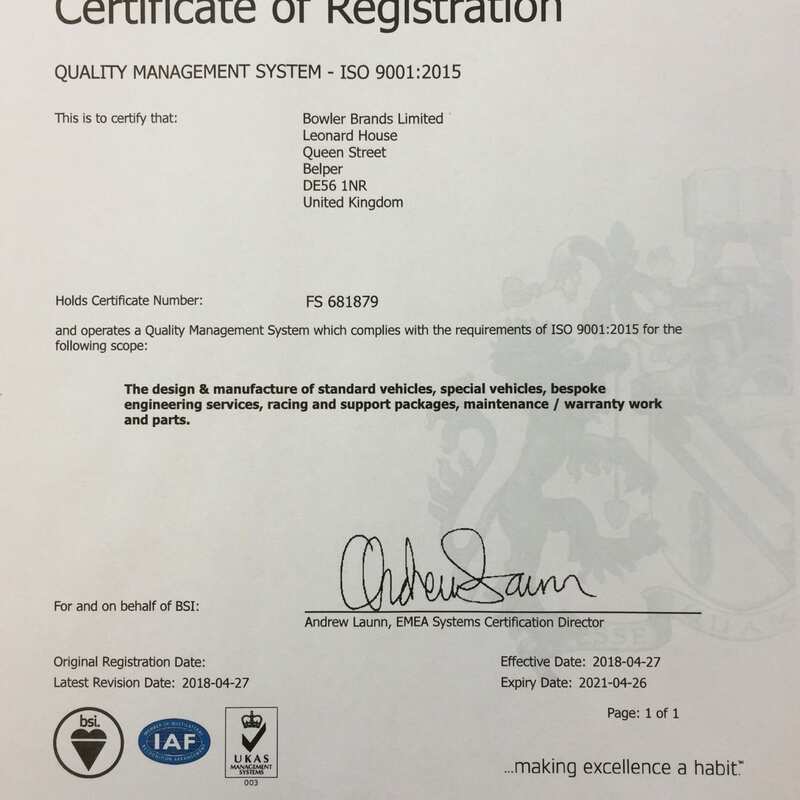 Bowler has officially achieved and received ISO9001 (2015) certification, demonstrating our already embedded commitment to quality standards and continuous improvement. This achievement is testament to the skilled and dedicated staff at Bowler who have worked hard and as a real team through this lengthy but rewarding process. Achieving ISO9001 status has been a priority for Bowler, to provide a globally recognised hallmark of our quality of products and processes. Led internally by Sam Bowler over a two year period, Sam and the team worked alongside support consultants from the highly regarded Society of Motor Manufacturer and Traders’ (SMMT) Industry Forum as well as the BSI awarding body and auditors. “Bowler has undergone a substantial business transformation in the last four years, growing from eight to thirty five people and redefining our business to be far more than just a motorsport company which Bowler has traditionally been known for. All areas of the business have had to change, adapt and progress to make us where we are today and whilst we were already following a number of processes informally, the ISO process has enabled us to document those more formally and achieve a constant and consistent benchmark and approach that everyone can follow, from people who have been here for 20 years, to those who are just starting. To find out more about Bowler’s unique and acclaimed quality committed products and services, explore the pages of this website or call us on +44 (0)1773 824111.